The Panthers went right down the field on their opening drive, scoring an touchdown after a 9-play drive that covered 75-yards to go up quickly 7-0 on the Steelers. The Cats should have warmed the bus up after that. Pittsburgh needed just one play to tie the game up, and after that they continued what ended up being an onslaught, scoring 52 points, and slamming Carolina 52-21, dropping the Panthers to 6-3 on the season. The 52 points put up by the Steelers ties a franchise record for the most points allowed in a game by the Panthers. The problem for the Panthers reared its ugly head again Thursday in terms of its inability to get the job done on the road. They have fallen behind by at least 14 points four times away from home this season. This time they would not come back, as the Steelers put any thoughts of a comeback away by scoring on their first three drives of the second half, this after building a 31-14 halftime lead. They were torched all night by the pinpoint passing of Steelers QB Ben Roethlisberger, who missed on just three passes in the runaway win, throwing for 328 yards with five touchdowns. 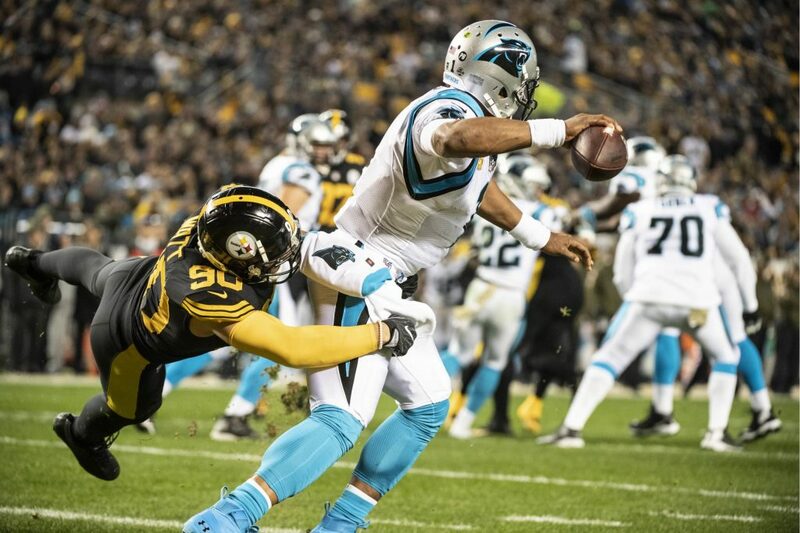 Cam Newton was under a heavy Steelers rush most of the night, as he was knocked around, getting beat up to the tune of five sacks, seven hits and too many pressures to count. Newton did post an impressive QB rating, but forget that and consider that they simply didn’t have any answers to a Steelers offense that did whatever they wanted. The Panthers put up 75 yards on the their opening drive, and ended the night with just 242 total yards with 18 first downs, and on third downs they were ineffective, going 4-for-11 (the Steelers were 8-of-11). 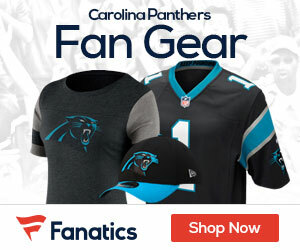 The one good thing is that the Panthers will have 10 days off to put this loss behind them, as they will get set to take on the Detroit Lions. Here’s some lowlights from Thursday’s loss.